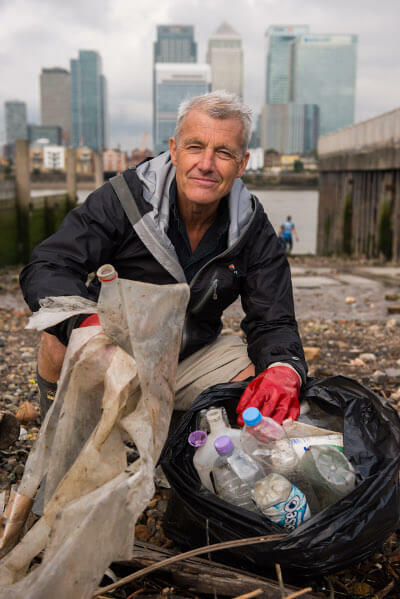 Paul kicked off the Port of London Authority (PLA)-led campaign at a clear-up on the Isle of Dogs’ foreshore, overlooking historic Greenwich Royal Naval College. 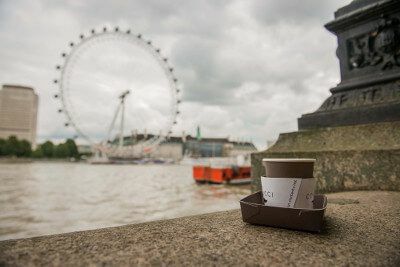 The campaign aims to raise awareness of the harm that rubbish in the Thames is doing to wildlife and why it’s important to stop it getting there in the first place. “I love the Thames,” said Paul. “I grew up near it in Rainham, so it was part of my everyday life for many years. Now I’ve come back to help raise awareness of the harm rubbish does in the river and the simple things you need to do to stop it getting there in the first place. Every year the PLA recovers over 400 tonnes of rubbish from the river Thames. Some of it is heavy wood which is hazardous to ships; the vast majority is plastic of all kinds, mostly bottles, but also spoons, cartons and Q Tips. Rubbish in the world’s rivers is feeding a global problem with large volumes of plastic floating in some parts of the ocean. Scientists say there are five huge “garbage patches”, at the centre of circulating ocean currents called gyres, where each square kilometer of surface water holds almost 600,000 pieces of plastic debris. Sea birds found with plastics in their gut include albatrosses, gulls, petrels, and penguins. 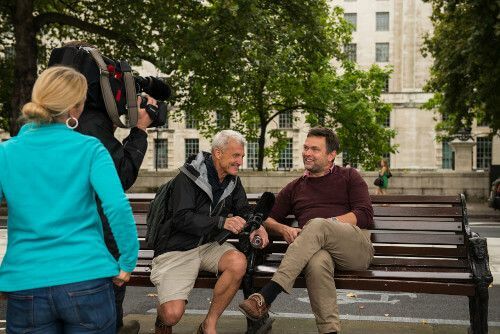 The campaign is backed by groups including Thames21, Totally Thames, the Environment Agency, Thames Tideway Tunnel, London Wildlife Trust, Marine Conservation Society and the RSPB. It features four posters and a film in which Paul Rose explains the scale of the problem and how people can ‘Do the Right Thing’. The campaign launch comes as Tideway gears up to start work on the Thames Tideway Tunnel, which will help tackle the 39 million tonnes of raw sewage that overflow into the River Thames in a typical year. The tidal Thames is home to over 125 different species of fish. The latest (2014) Thames seal count by the Zoological Society of London found more than 900 seals living in the river. Over ten years of public reporting of seals in the river, Canary Wharf has established itself as the Thames’ seal spotting hot spot. More than 300,000 over wintering birds make their home on the Thames every year. The PLA oversees the 95 miles of the tidal Thames from Teddington Lock, through the capital, and out to the sea. Running the river in trust for future generations, the PLA’s 350-strong workforce oversees safe navigation, protects the marine environment and promotes the use of the river. Every year Thames21 enable thousands of volunteers to clean and green the capital’s 400-mile network of waterways. The Thames Tideway Tunnel is a major new sewer, urgently needed to help protect the tidal River Thames from increasing sewage pollution. The main tunnel will be approximately 25km long, with an internal diameter of between 6.5 and 7.2 metres, the equivalent to the width of three London buses. The depth of the tunnel will be between 35 metres in west London and 65 metres in east London. The tunnel will ensure London’s sewerage system is ‘fit for purpose’, able to meet the demands of a rapidly growing population for generations to come. The project is expected to create approximately 9,000 jobs. Main construction works will start in 2016, with a completion date for the project of 2023.